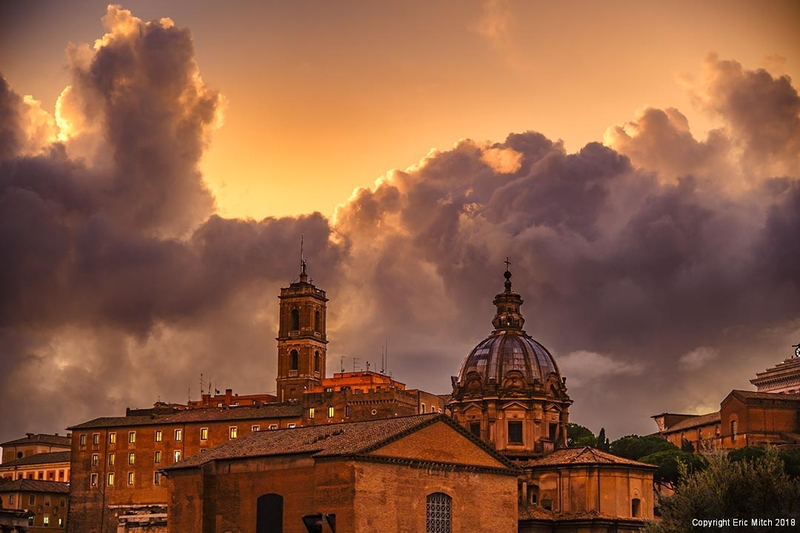 It looked like a pretty dreary evening walking along the Via dei Fori Imperiali with the rain and oppressive cloud cover. All of a sudden the clouds broke and the sun poked through with a view of the Chiesa Dei Santi Luca e Martina. It was one of the few color photos I took that evening but it shows that the weather can break in an instant and provide some pretty dramatic clouds and light. The new Nikon Z 7 did admirably keeping the rain out with its great weather sealing.